Provide comfort for the family of Russell Arnold with a meaningful gesture of sympathy. 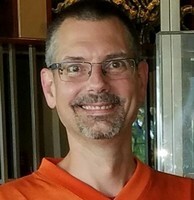 It is with great sadness that the family of Russell Scott Arnold, loving husband, son, brother and friend, passed away too soon at the age of 54 on Tuesday, February 19, 2019. Russ was born on January 17, 1965 in Milwaukee, WI, to Ross and Rose Marie Arnold. He received his business degree in economics from Illinois State University. On March 29, 2001, he married the love of his life, Marcy Meyer, celebrating with a gorgeous Jamaican wedding. His most recent job was in Operational Risk for Discover. Russ was preceded in death by his beloved grandmother, Lena. Russ will be missed every day by his true soul mate Marcy, his mother Rose Marie (Jerry) and father Ross (Colleen), brother Randall and sister Sherry, nephews Eric, Scott and Andrew, great nephew, Alexander and his cousin Debbie (Chuck) and their son Peter. Russ will also be fondly remembered by his mother- and father-in-law Bob & Carole Meyer and brother-in-law Mark (Lisa), as well as his many great friends. In addition, Russ will be greatly missed by his 4 cherished kitties: Sayers, Ryno, Peanut, & Santo... and yes, Santo will miss him too. For to have known this gentle and generous man is to miss him. Russ expressed his creative talent by decorating his house with many flower arrangements, a talent he got from his maternal grandmother, Lena. 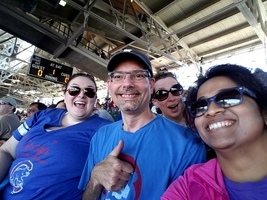 He and Marcy were like two peas in a pod as their tastes in decorating, music, travel and entertainment was the same, even in sports where they supported each other; Russ a diehard Cubs fan and Marcy a devoted Bears fan. Their house abounds in mementos and pictures of him and Marcy celebrating together all life has to offer. Some of their favorite things to do were to visit New Orleans, attend Jimmy Buffet concerts and Cubs games (let’s have a repeat of 2016! ); Jamaica holds a special place in their hearts. 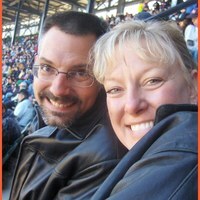 Russ believed in living life to the fullest with his soul mate Marcy. Most of all, he just loved being with his many friends. Russ was always a gentleman and a charmer, endlessly kind and thoughtful. All who knew him, loved him with their whole hearts. Rest in peace dear Russ; we will forever feel your love and presence in our lives. A celebration of Russ’ life will be held on March 30, 2019 at Harry Caray"s Restaurant, 10233 W. Higgins Road, Rosemont, IL 60018 between the hours of 12:00-4:00pm. Please wear your Cubs gear to honor Russ and his beloved Cubs. Hotel rooms are available at the Holiday Inn and suites(the restaurant is connected to) under "Arnold Celebration" (847) 954-8600. In lieu of flowers, please feel free to make a donation to your favorite charity in Russ’ name. James R Jorden purchased flowers for the family of Russell Arnold. When I first met Russ in 2011 for Thanksgiving in he and Marcy's home, I was struck by his genuine personality, warm smile and easy going personality. Being my first trip to Chicago, he made me feel so welcome. It is with heavy heart that I share this because he will surely be missed. Sending big hugs and love to all of the family for their loss and know that his memory will live on in many of us whose lives he touched. I am so sad to hear about Russ's passing. He was one of my neighbors when we lived in Brookdale in Naperville,IL. The Arnold's lived in the yellow house on Bainbridge Dr and we lived in the cul de sac down the street. We hung out many times with our neighborhood friends and had lots of fun. 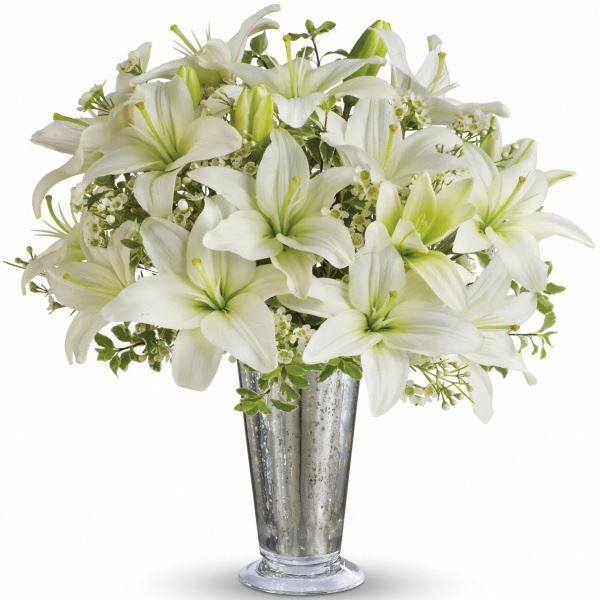 Marcy and the Arnold Family may you find peace and comfort in the days ahead. Our condolences go out to the entire Arnold and Meyer families. We will remember Russ for his athletic and musical talent. He will also be remembered as a great big brother to Sherry and Randy. Russ in college. He was my big brother at the fraternity and truly upheld their motto of being a True Gentleman. My deepest sympathies to Marcy and the rest of his family and friends.